Before we can talk about knee pain we have to understand what pain actually is. Most people think pain is localized in the tissue that's being effected when that's simply not true. Pain is entirely manufactured in your brain and while your brain is monitoring signals that are coming in from the nerves and responding to them, it has the final vote on how painful something is. This is important because it points to a holistic rather than an isolated solution to a chronic problem. Watch the video below if you're curious to know more about the mechanism of pain. I get it, pain is relative and complicated what does this have to do with the knee? Even though you are experiencing pain in your knee, often times it's part of a greater dysfunction. This is why fixes that only focus on the knee/quad muscle do poorly. Instead you want to employ a holistic approach where you improve overall tissue quality, mobility and flexibility on top of addressing the local issues in the knee. Please keep in mind that we're talking about minor/chronic injuries not acute ones. An acute injury would be if you fell, twisted your knee and tore your ACL. A chronic injury is where your knee slowly starts to ache over time. Another thing to note is that every situation is different, on top of that a lot of the corrective/rehabilitative movements can injure you further if you do them improperly. So please consult with a doctor and take the stuff below as opinion, a part of your research, not a complete treatment. The knee is the biggest joint in your body and one of the most complicated. The knee is not so much a separate structure, but rather a collection of structures that connect your thigh bone to the shin bone. It's main function is to transfer forces from muscles such as the quadricep or hamstring to the shinbone. The knee also shouldn't be confused with the knee cap which is only one part of the knee. The other important point is that your knee is supported and stabilized by various tendons, ligaments, cartilage and menisci. This means it's very sensitive to muscle imbalances and tightness. Look at the picture below and imagine one tendon pulling a lot tighter than the others. Now imagine that knee in motion and you can quickly see how things go bad. The knee-cap (Patella) is usually in the center of your knee but here it's 'reflected' upwards so you can see what's usually behind it. Before we delve into the specifics of the knee we should talk about general joint health. Unlike muscles, joints are made up of tissues with relatively poor blood supply: tendons, ligaments and cartilage. For this reason, joints rely on frequent use for proper function. Joints are more susceptible to chronic injury, so it's critical to maintain them. Most joints -specifically synovial joints- are surrounded by synovial fluid which is the liquid that lubricates and nourishes them. Great, this fluid seems to do everything. Maintains your joints, lubricates them and even helps with shock absorption. So where's the problem? Synovial fluid depends on the movement of the joint in order to circulate and perform its function. Imagine the cartilage in your knee is like a dirty sponge sitting in a container of water (synovial fluid). The sponge just sitting there isn't going to get cleaner but if you keep squeezing and releasing, the water circulates and the sponge gets a lot cleaner. The same thing happens in your joints. Synovial fluid also contains Phagocytes - white blood cells that eat stuff - which clean up debris and microbes. So improving immune function wouldn't hurt - the most straight forward way is improving your sleep and reducing chronic stress. Finally, since synovial fluid is a liquid that means it's directly effected by hydration. So if you aren't well hydrated, your joint fluid levels also won't be at their best. As we said, the knee is stabilized and supported by tendons which are controlled by muscles. When the muscles or tendons get tight they exert uneven pull on the knee and usually you end up with tendon inflammation such as ITB Syndrome. Quadricep tendon which connects from the top into your knee cap. This is a pretty big and strong tendon so injuries to it aren't common. IT Band tendon extends from the side of your hip (connecting with the TFL all the way down to the side of your knee. Hamstring tendons there are actually 4 of these that connect the hamstring muscles to the knee. There are two on each side and they are all behind your knee. All the different tendons and ligaments in your knee. First, stop the activity that's causing the inflammation. Apply ice at the initial onset of inflammation until swelling and pain subsides. 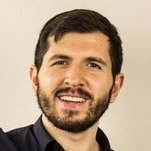 After that it's better to use heat -sauna, hot bath - and add in movements to improve strength and stability (we'll talk about in the next installment). Foam rolling or rolling with tennis ball, PVC pipe, etc. Avoid repetitive movements as much as possible. At the very least add in breaks for your tendons to recover. Finally, build up your tendon strength and endurance by ramping up your training or task slowly. Tendons, like muscles, do get stronger over time, they just need the proper stimulus and subsequent recovery. 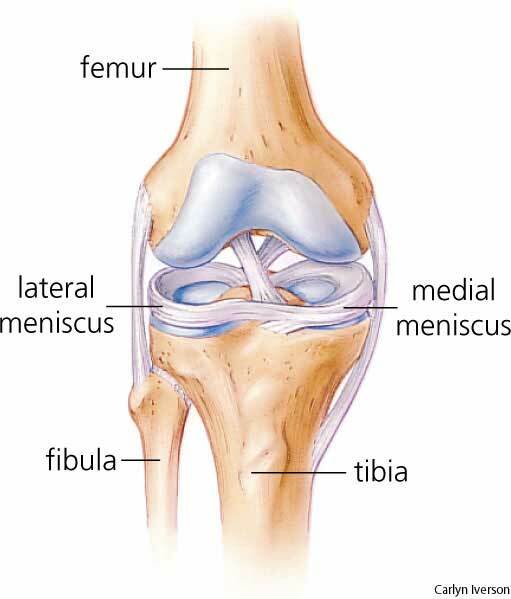 There are two types of cartilage in the knee, let's call them regular and meniscus. The regular cartilage is basically padding at the end of your shin and thigh bone while the menisci are two rings that are on each side of the knee. The purpose of cartilage is to absorb shock, reduce friction, and distribute forces more evenly. Cartilage doesn't have any blood vessels, though, so it relies on the synovial fluid for nourishment and maintenance. The lack of blood vessels also means that it's a lot slower to heal than bones/tissue. For this reason it's more vulnerable to wear and tear over time which leads to Osteo-arthritis for example. Cartilage also soaks up synovial fluid - especially when its warm - which increases its shock absorption ability. Improve synovial fluid function (mentioned earlier). Avoid high impact movements when they cause discomfort. Don't ignore grinding or scraping sensation or sounds. As you can see, the knee is a very complicated structure with many systems intersecting and depending on each other in order to achieve optimal performance. Overall, the best thing you can do for your knees is have a healthier and more natural lifestyle. Sedentariness and lack of activity plays the biggest destructive role here. Please post your questions/feedback and I'll make sure to address them and include more details in the next installment.